The Atmospheric Radiation Measurement (ARM) Program was created in 1989 with funding from the U.S. Department of Energy (DOE) to develop several highly instrumented ground stations to study cloud formation processes and their influence on radiative transfer. Typically, climate involves statistics over some time interval. 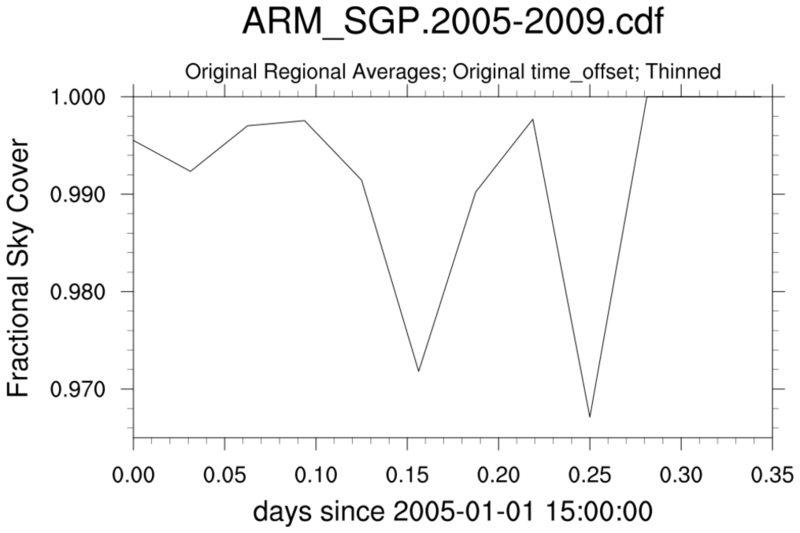 It is common practice to span many files to create (say) time series, climatologies or, more sophisticated diagnostics. Being able to select data for specific time periods can be essential. NCL could do this by using addfiles and then, explicitly creating the appropriate time variable via cd_calendar and cd_inv_calendar . A more efficient approach would be to use the netCDF Operators (NCO). The ncrcat operator has been programmed to recognize ARM files. The ncrcat operator will recalculate the 'time_offset' variable to be relative to the 'base_time' in the first file to produce a monotonically increasing 'time_offset' value. 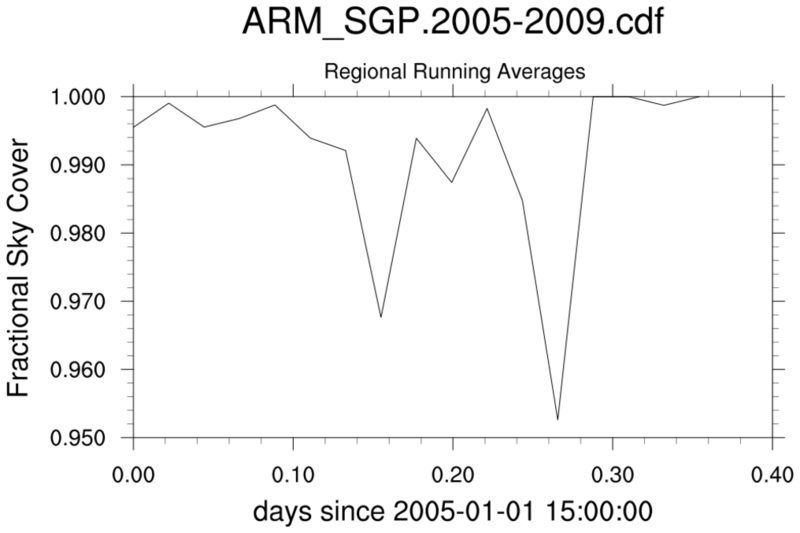 arm_1.ncl: One sample file from the "sfccldgrid" suite of files is used to create time and spatial averages. 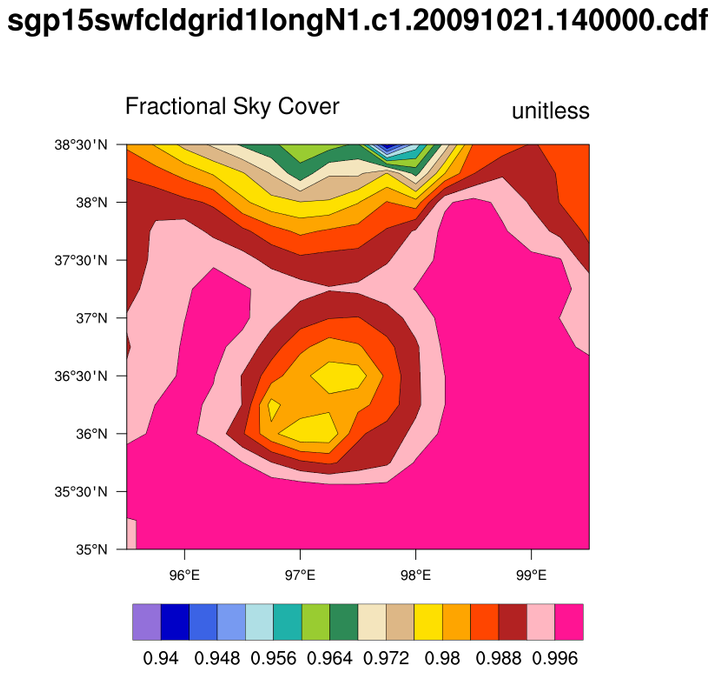 The stat_dispersion performs exploratory statistical analysis on the "cloudfrac" variable. 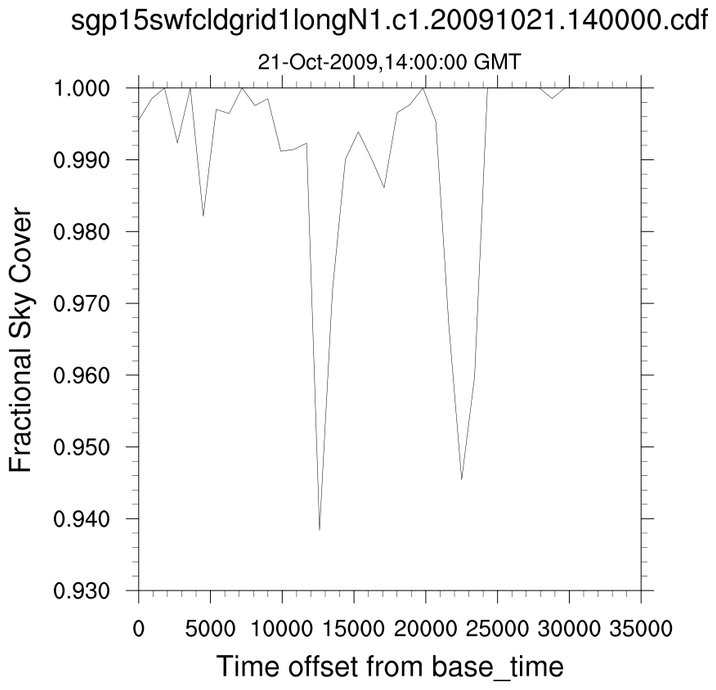 The SGP prefix to the file means "Southern Great Plains". It shows that 23% of the data values are missing. The locations are fairly close to each other, at each time average all the locations. Create a time series. Interpolate the temporal values to equally spaced time via linint1_n_Wrap. Smooth and plot the series.